The latest announcement from Chevrolet’s South American cousin came to include a series of photos of their latest creation, a small pickup truck named the Montana. 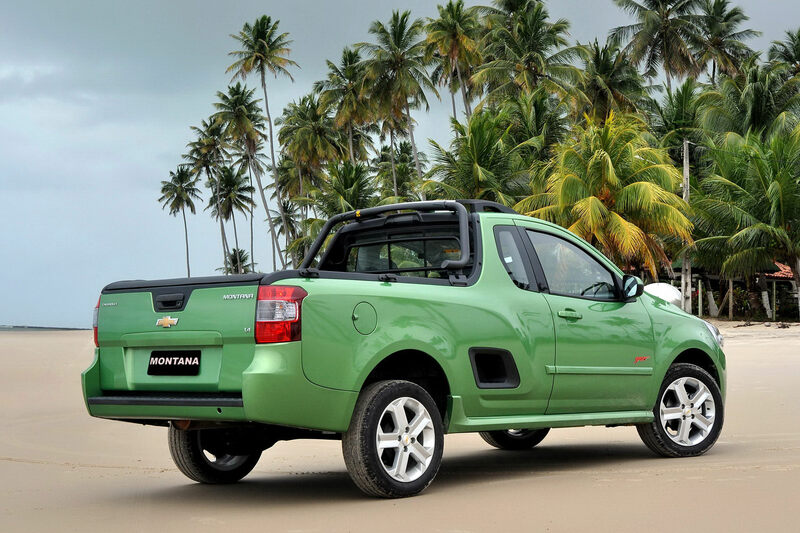 The Chevrolet Montana is based on South America’s new Chevrolet Agile hatchback and is more of a ute than it is a fully fledged pickup. 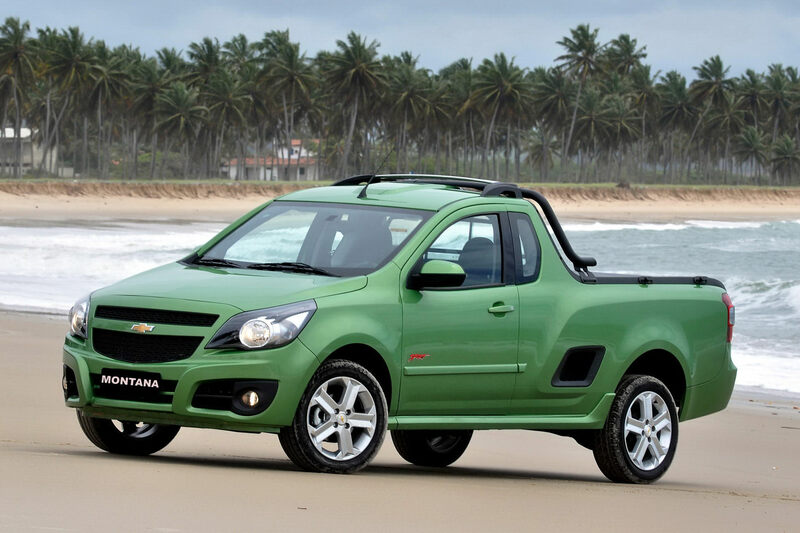 The new Chevrolet Montana pickup will be arriving in January 2011 in the respective markets of the South American continent and the company markets it as the segment’s most storage and 1.4 power. That being said the 1.4 liter engine makes some horsepower but for a vehicle that can carry up to 758 kilograms in its 1,100 liter bed it’s not what i’d call “1.4 power” but rather “1.4 lack of”. If you think that’s mean wait until you see the spec sheet, there’s 102 horsepower if running on alcohol and that figures drops to a mere 97 when using gasoline to power it. When running on the happy juice the car will reach a top speed of 170 km/h and hit 100 km/h in 12.1 seconds whereas gasoline will cut that back to 12.3 to 100 km/h and a top speed of 168 km/h. The base model is the LS spec and it prides itself upon having the most cabin space in the segment at 164 liters behind the seats, has a side step and features a choice between 14 or 15 inch wheels. If you feel like spending a bit more there’s the Sport trim that comes as standard with 15’s, has black headlight housings, features body color mirrors, cruise control and dual airbags. If you’re interested in a few options, there’s blue backlighting for the gauges, digital temperature readouts, automatic headlights, CD/MP3/USB/iPod player and connections and power windows and locks.